Also Infinite Dungeon: The Halls of the Eternal Moment – Cusp, City on the Edge of Eternity is also available for PAY WHAT YOU WANT here!!! 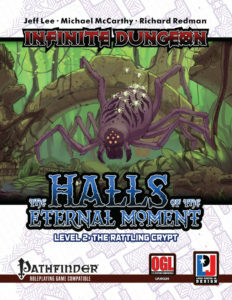 Also Infinite Dungeon: The Halls of the Eternal Moment Level One – The Overgrown is available here!! !